Glass top stoves can lend a fresh, modern look to your kitchen. In black or white, glass top stoves pair well with trendy stainless steel appliances and exposed-brick walls. This sort of stove isn't without its problems, however. From particular care concerns to uneven heating, glass top stoves can be tricky to properly use and maintain. Glass top stoves are prone to scratches and cracks if they aren't cared for properly. Never slide your cookware across the top of your glass stove, as it may leave minute scratches that can worsen over time. In addition, take care when stirring food as it cooks. If pans rock back and forth as you do so, this can damage your cook top. Additionally, any heavy objects that might fall on your glass top stove can lead to serious cracks. Take care when lifting items into above-range cabinets. You should avoid cast iron cookware if you're using a glass top stove. Due to its rough texture, cast iron can do a number on the delicate glass of your stove and severely mark it up over time. A great heavy-duty cookware alternative is enameled iron cookware, such as Le Creuset, since it has a smooth exterior that won't scratch your stove. 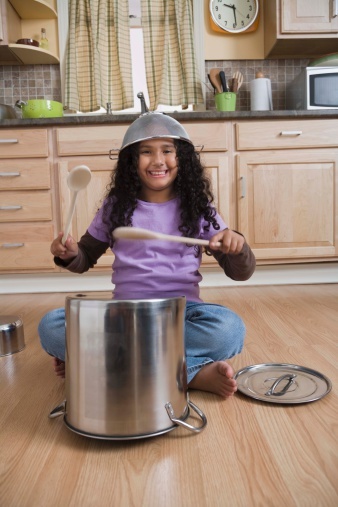 For everyday cooking, stainless steel pots and pans are great glass top stove options. However, steer clear of aluminum as it can leave marks on the stove top. A problem common to all electric stoves is slow and uneven heating. Electric heating elements don't respond as quickly as gas burners once turned on, so you will have to wait longer to bring your water to a boil and to sauté your chicken. In addition, once you do reach the optimum temperature for your meal and have reduced heat, the stove will take longer to lower in temperature. What does this mean for your cooking strategy? If you're preparing foods like rice, pasta or hard boiled eggs, in which bringing liquid to a boil and then quickly reducing heat is necessary, try boiling on one burner and having another ready to go at a low temperature. This way, you can switch the pot to the lower-temperature burner as soon as it has boiled. This will prevent things like overcooked eggs and rice that burns, sticking to the bottom of your pan. Though slow cooking times are common to all electric stove tops, glass tops are especially poor performers in this area. This is because glass is a poor heat conductor, so it transfers heat to pans more slowly than a metal coil burner would. If your glass top stove is an induction cooktop, you should have less of an issue with slow or uneven heating. This is because induction technology actually functions like a magnet and causes your pans to warm themselves by making their electrons move at a rapid rate, generating heat. The main drawback to an induction cooktop is that you really must use cookware high in iron and with an extremely flat base in order for the technology to work properly. Your glass top stove requires special care to keep it clean. While all the burners are completely cool, spray the stove top with white vinegar and wipe it down with a damp cloth. This will help to remove grease and surface stains. Next, sprinkle baking soda over the surface of the stove top. Baking soda will help break down grit, but it's a mild enough abrasive that it won't scratch the glass. Cover the stovetop with a damp soft cloth, such as a towel. Let the towel sit for 15 minutes. Then, use the towel to gently buff the stove, periodically rinsing the towel to cleanse it of baking soda. Once all the baking soda has been removed, wipe the stove one last time with vinegar and a damp cloth. Polish with a clean, dry cloth or let the stove top air dry. With a little extra TLC and some cooking know-how, you can make your glass top stove work for you. Proper cookware and regular cleaning are a must for glass stove top longevity. Does Porcelain Enamel Cookware Work on a Glass Stovetop?